With training camps underway and the NHL regular season mere weeks away, how about a synopsis of the changes for Team Teal? Whether you are a casual Sharks fan that has simply been tuned out this summer or a fan of any of the other 29 NHL teams, you might be in need of a concise update on the most drama-filled club from last season. The AHL Worcester Sharks are now the San Jose Barracuda. Recalling players and sending players back to the AHL just became a lot easier. Instead of players having to make cross-country flights from Massachusetts to the Bay Area and vice versa, the Sharks will have their top minor league affiliate sharing the same arena. Joe Thornton likes the offseason additions made by GM Doug Wilson and says their spat from last season is behind them. Overall, the Sharks seem much more confident as a group going into this season than they were a year ago coming off their epic playoff collapse at the hands of the Kings in 2014. Raffi Torres has been skating and wants to play in preseason games. He has been injured most of the past two years with a torn ACL ligament in his knee but when healthy he is a big-time difference maker in the bottom six. The Sharks are cautiously optimistic about his ability to play this season. Players no longer with the Sharks from last season are the infamous John Scott, as well as Adam Burish, Matt Irwin, Antti Niemi and Scott Hannan. Speaking of those no longer with the team, head coach Todd McLellan is now the head coach for the Edmonton Oilers. 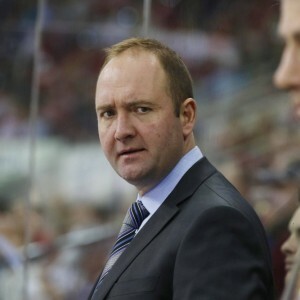 Replacing him in San Jose is Peter DeBoer, former head coach of the New Jersey Devils and Florida Panthers. Sharks signed two key free agents this offseason. On defense, they pickup the defensively stout Paul Martin and at forward they brought in everyone’s favorite role player in Joel Ward. These two will be very key additions this season. Ward was fantastic last season for the Capitals and was particularly awesome while short-handed. Both these new additions will help improve the Sharks’ 25th ranked penalty kill from a year ago. 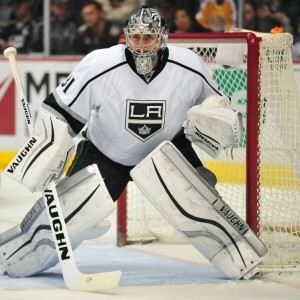 Taking over for Niemi in net will be Martin Jones. 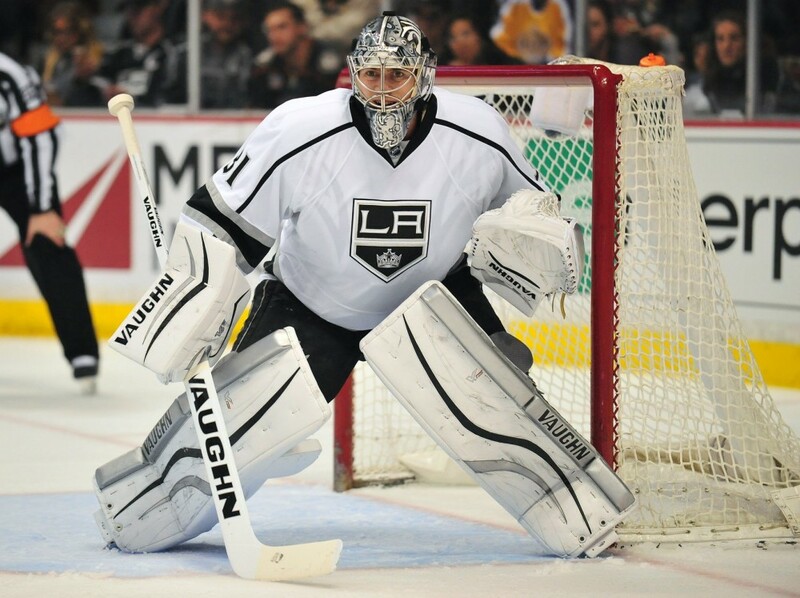 The 25-year-old netminder was an excellent backup for the Los Angeles Kings the past two seasons and he previously posted terrific numbers in the AHL. Los Angeles couldn’t afford to pay Jones as an restricted free agent and traded him to Boston this summer. Not sure how wise that move was if the Kings wanted to get Jones out of the Western Conference since the Bruins already have goaltenders Tuukka Rask and Malcom Subban. With the glut of netminders, the Bruins flipped Jones to the Sharks just a few days later. Jones will get to start against his former team back in Southern California for the season opener. How awesome will that game be? 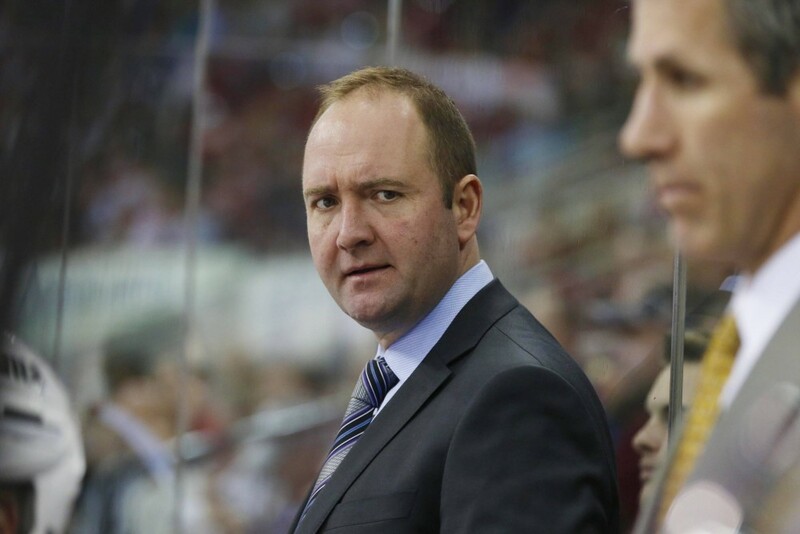 DeBoer says he will name a captain before the season starts. Last year, the captaincy was one of the biggest sources of drama as the team went without a captain, stripping Joe Thornton after four years of wearing the C. The favorite to be named captain is Pavelski, but many fans hope Thornton gets it back. Long-shot candidates are Couture, Burns and Marc-Edouard Vlasic. Maybe even Paul Martin. The Sharks are celebrating their 25th anniversary season and will be wearing a “heritage jersey” three times this season featuring their classic original Sharks logo. Overall, these jerseys look much like the first jerseys they wore but with a slightly darker shade of teal. San Jose remains an extremely talented team and their 25th anniversary season could be something special. Their roster is as deep as it has ever been in their history.